Project management and CRM (customer relationship management) entails tracking all aspects of a business from planning, assigning tasks, follow up, task management, and invoicing—along with many more activities. The success of any website or business largely depends on the structures put in place to ensure the smooth running of operations. From planning and tasks assignment to deadlines and team management, all these activities need a proper system in place. A project management system is the best solution to ensure synchronization of teams, projects, and tasks. 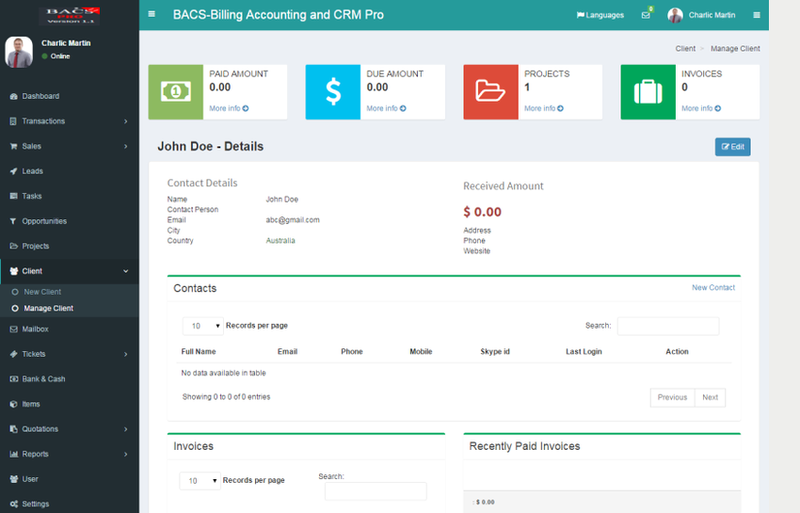 And a CRM helps manage customer contacts and invoices. Luckily CodeCanyon offers many of these apps, with complete source code, at a very low cost. Some of these come with out of the box features such as payroll management, recruitment, invoicing, users management and other awesome features. In this post, we’re going to look at some of the best project management systems and CRMs on CodeCanyon. Let’s get started! Perfex is an all-purpose CRM that can be used by businesses of all kinds and freelancers as well. It has a very clean and easy-to-use interface that will allow you to perform all tasks with ease. Perfex is the perfect tool for management of projects, clients, customers and in-house activities such as expenses and utilities. If you are looking for an easy-to-use project management system, RISE is the perfect solution for you. RISE has everything you would require to manage clients, customers and project tasks. 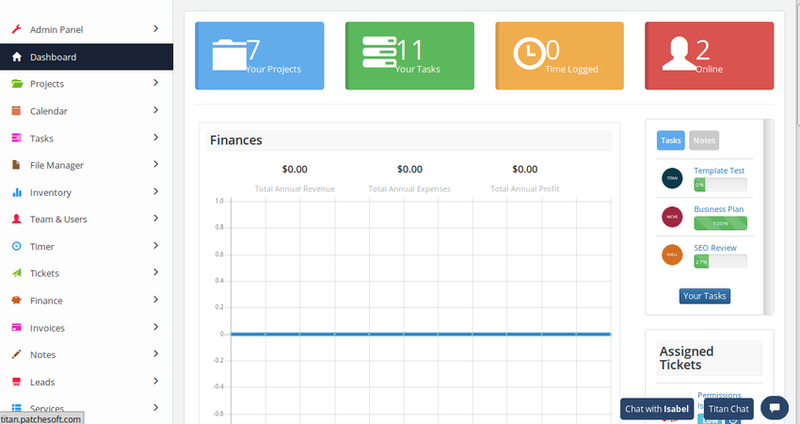 It has some of the most amazing tools such as activity logs for projects and graphical expense reports. Let’s look at some of the most prominent features. Easy project management: you can add and manage all projects in a central place. After tasks are assigned to members, the project manager is able to assign deadlines and view milestones. Communication tools: includes awesome communication tools between teams and clients. These include a messaging platform, a ticketing system, and fully customized notifications. Event calendars: with event calendars, you can create and share both private and public events. You can also publish announcements and meetings to both clients and team members. Send invoices and receive payments without leaving the portal. 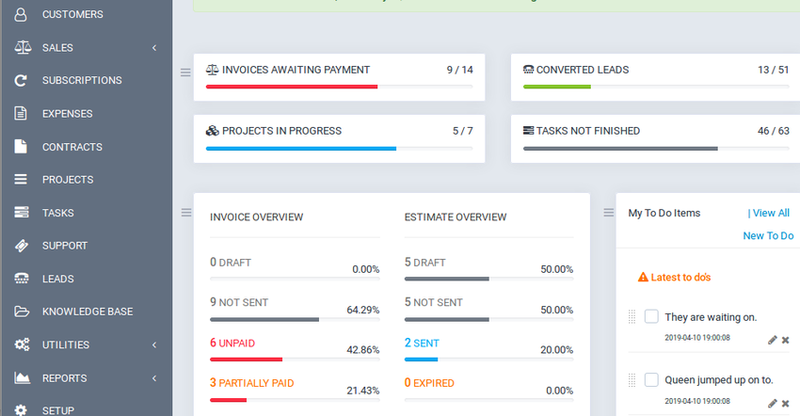 Projectopia is the ultimate project management app and streamlines all activities including clients, projects, tasks, invoices, team members and support tickets. Looking for a project management app that works on the go?, Ekushey is an advanced project management app that allows you to manage projects in a clear and organized way. This is possible via a separate file management system for each project. UPM PRO is a powerful, easy to use CRM with which does more than just managing projects. UPM PRO features a complete HR management system where you can perform recruitment functions such as job posting, interviewing and recruiting. It also features a payroll system where all payments are managed. The leave management system ensures easy management of team leave days. 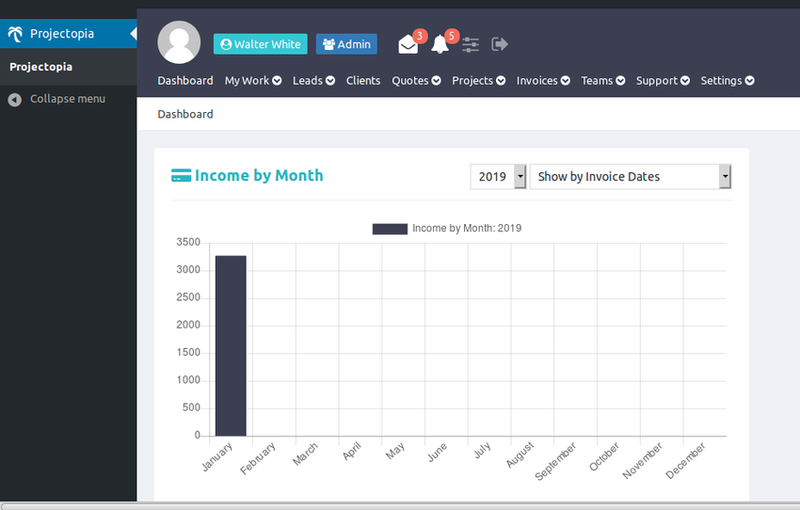 TITAN is a very sleek looking CRM system. If you are looking for a clean and organized CRM, this is the one for you. TITAN has a very clean interface with all your projects, assigned tasks, and tickets visible on the dashboard. When you log in to the dashboard, you won’t have to struggle to find your tasks. TITAN offers easy registration and login via social accounts. It also offers protection from spam. In addition, all passwords are encrypted to ensure your data is safe. The admin system features a very clean and organized dashboard where the admin can view all the projects, their status, and the members assigned. The admin can also assign tickets to members depending on the department for fast resolution. It also features IP blocking to prevent users from logging in with certain IP addresses. 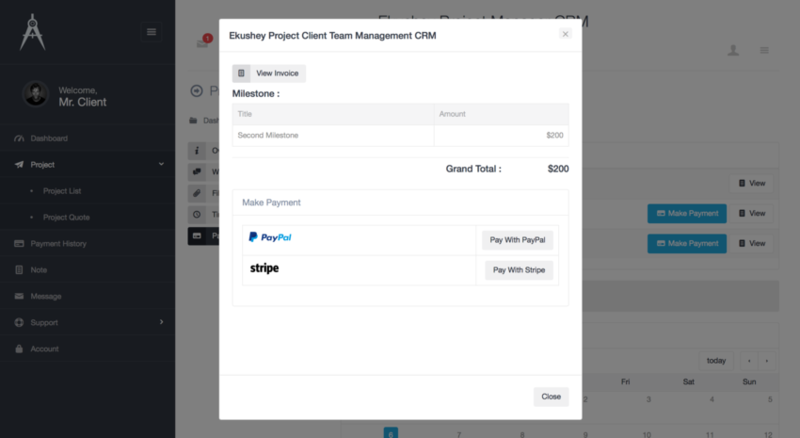 Manage project costs by assigning each project a set amount of time. This app includes a clean ticketing system where the admin can assign tickets to team members. 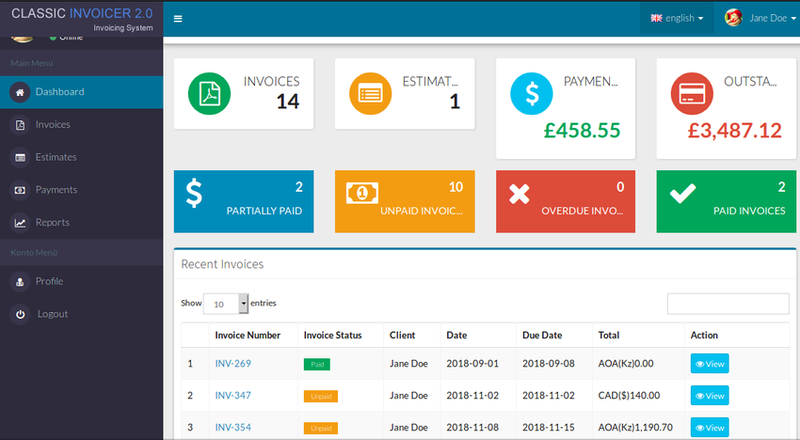 Classic Invoicer is an invoicing and client management system that allows you to create and send invoices to clients in minutes. You can also view detailed reports of your income. Classic Invoicer is very easy to install and has a responsive design for use on any device. It is the perfect solution for any business that needs an invoice system. It’s also perfect for freelancers. onTrack is more than a project management system. It comes with out of the box features that will be useful for any IT business, such as: network monitoring, project management facilities, reports, and user management. onTrack will enable you to keep an inventory of all your assets as well as licenses for your clients. You will also be able to provide support to clients effortlessly via a help desk feature that helps with issues maintenance, bug tracking or any issues with new features. That’s it for our list of the best project management and CRM systems on CodeCanyon. Most of these apps have live previews so you can try out all the functionality before you buy. Just click on the Live Preview button on the app homepage on CodeCanyon. Let us know in the comments below which is your favorite!